I was in Bristol, in the west of England, recently and was struck by the number of borderline hipster/hippies puffing not on ecigarettes, but those newer, vaporiser contraptions. It struck me that, in effect, pipes are back. So if it’s possible to reinvent the pipe for new generations, what success could someone expect if they reimagined the pipe’s traditional companion, the carpet slipper — and charged £69 a pair for a stylish version of what can be had for £7.50 in Marks and Spencer? A decent chance, according to a 35-year-old London entrepreneur, Ankur Shah. His slippers for hipsters, Mahabis, are selling at a rate of 500 a day. Mr Shah’s company turned over £1.5m in its first year, £10m in its second and is heading for £18m in this, year three. It was also profitable, Mr Shah says, from the start. 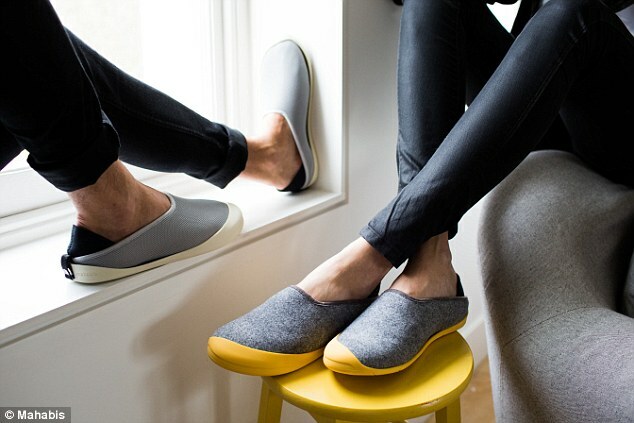 If the Mahabis name seems familiar, it is because the online campaign to popularise its footwear has been relentless. Lines of these hybrid sneaker/slipper/mules have been tramping across my screens for months. The Mahabis story-so-far is interesting as an exemplar of the speed at which technology allows a business to be built. Three years ago, Mr Shah hadn’t given slippers a thought, although he was wearing a pair all day, as he was at home with a back injury, cash rich from the Experian sale, but without much to do. Today, he claims 200,000 people in 40 countries wear them. He believes he has the beginnings of another Ugg, which popularised sheepskin boots, or a Havaianas, the Brazilian flip-flops company, or even a Nike. “Then I typed in ‘slippers’, and the search volumes were 60 per cent higher than for flip-flops, a £4bn industry. Yet I couldn’t name a single slipper brand.” He thought about where he might source slippers to sell them online, but found only “dowdy, fluffy, tartan things nobody would want to wear”. Then he wondered if an iconic, premium brand could be invented. It was then a matter of coming up with a design, printing endless 3D models, getting multiple flights to Krakow in Poland, a major slipper manufacturing country. He eventually settled on production in Portugal and Italy, and launched in 2014. The moment he realised he was on to something was when the website got 10,000 orders on day one. “I guess slippers are forgotten about, but for the freelancer generation, working from home, they’re worn all day, seven days a week,” he says, although he admits a full explanation for their success thus far eludes him. The slippers are certainly extremely comfortable, but Mahabis are still essentially an online marketing phenomenon. Mr Shah says the company spends “millions a year” with Facebook and other “display networks”, which ensure adverts pop up unasked for on other websites. With Mahabis, meanwhile, flying out of the warehouse in Swindon, in the west of England, the 12-strong team in Shoreditch that runs the company barely sees a slipper. This allows them to concentrate on the all-important marketing metrics — who’s buying, when, where and so on. It sounds like hard work, but counter intuitively, perhaps, the head office staff work a four-day week and Mr Shah is discussing a four-hour day. Largely freed from a traditional office, his people are more productive, he finds, and more creative too. Coming soon, a range of lifestyle accessories. Just don’t expect a Mahabis pipe.